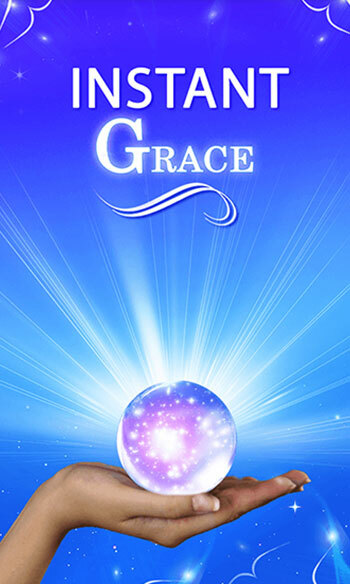 Instant Grace is an application developed by taking consideration of various astrological principles of Indian Scientific wisdom of time and planetary movements. 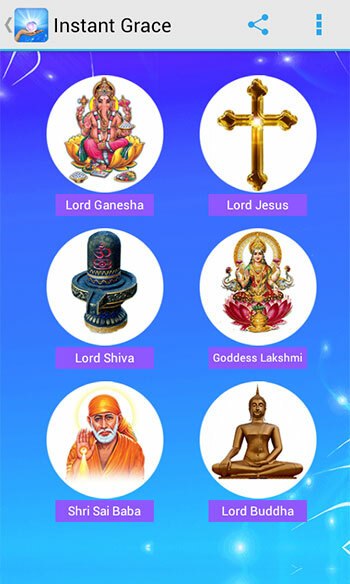 This App will help you know the answer related with a question or concern that has been troubling you. 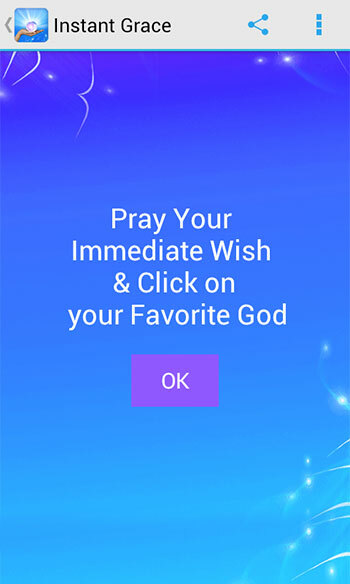 All you have to do is to focus and think about a specific and precise question in your mind and then click on your favorite God. It will then display the answer for your question based on the criteria like good or bad, whether it will happen or not etc. You can ask as many questions as you want. 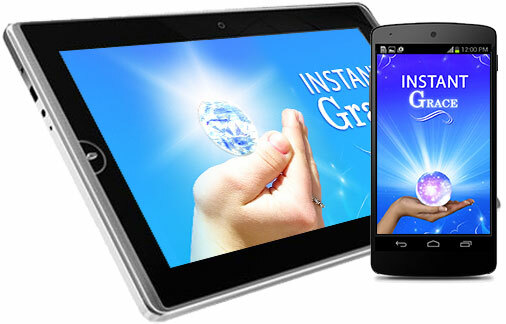 The Benefits of Instant Grace Application • Prompt and Fast answers • Ask from the comfort of your computer or mobile • Simple and straightforward predictions • Innovative • Complete support to all the devices and tablets • Sharing option Our Instant Grace app will help you make calculated plans and strategic modifications. 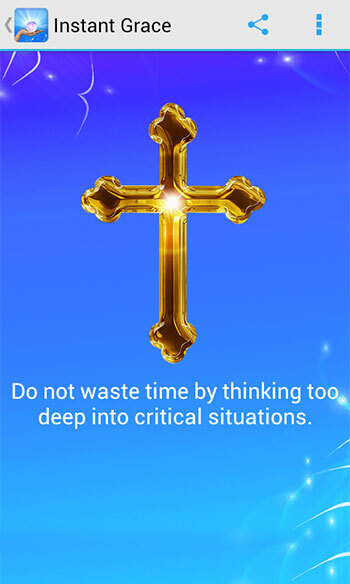 Get the guidance on Do's and Don’ts and make your life go tension free! 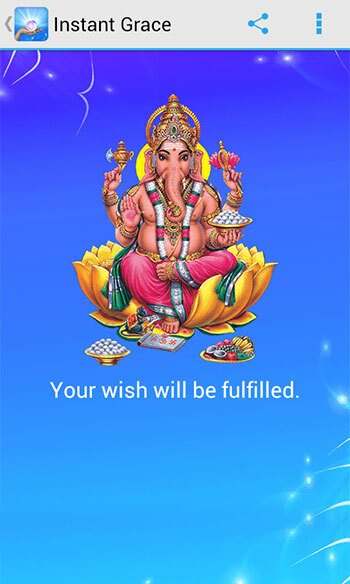 Before you go, we request you to give us feedback and rate our App so that we can more it more user-friendly. 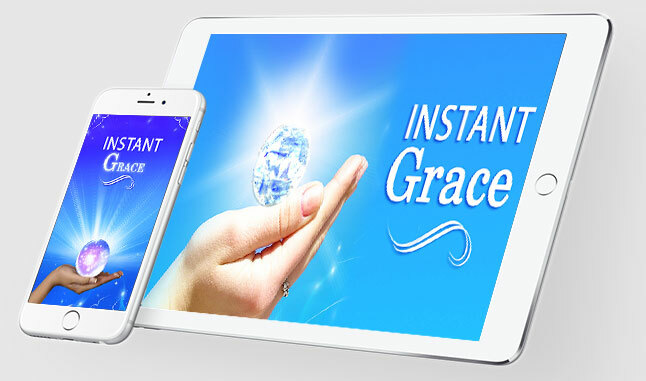 Please share the Instant Grace app with your friends. Have a nice day!